I got prop_diag working as a stand alone app and was able to parse ROM1.BIN but am stuck trying to figure out how to parse the RAM4.BIN, especially, "...around the known address..." As Sergeant Schultz would say, "I know nothing!" Starting from https://www.magiclantern.fm/forum/index.php?topic=12177.msg117735#msg117735 I tried to unblock RAM4.BIN. The problem is I do not know what offset to use. I tried with 0xF0000000 and with 0xE0000000. The RAM4.BIN.strings file resulted. No matter what offset I've tried, the files are the same. Still running disassemble.pl, so I still do not have a result. I will return with a result when it is ready. Maybe I got the offset wrong. Looking in the source, I found that RAM4 is saved with offset 0x10000000. So I run the script with offset 0x10000000. Let's see what's coming out. @critix - Are you using prop_diag from the recovery branch? It is quite easy to build. The documentation explains how to enter the offsets but I'm not sure what offset to use. * Python version available on request. * Data structure: in ROM, properties are organized in blocks, sub-blocks and sub-sub-blocks. * or the property data itself. * - "status", "size" and "terminator" are 32-bit integers each. * Consistency check: sum of size_i == buffer_len - 4. * There are 4 nesting levels: let's call them "class", "group", "subgroup" and "property". * and maybe also to save a "last known good" configuration (or that's just a side effect). * in particular, status and size are no longer the first items. If you use prop_diag with the camera, then in prop_diag you have to put the offset. If you use offline, then you do not need offset. That's why I'm trying with that script. There are probably other settings that work but this is something that users can experiment with using a test build from my downloads page. Ok--so why would you use FPS override while in Photo mode? So is there anything here we can use to resolve the raw LiveView freezing issue? My post is not about the bits and bytes behind but my experience with ML on the M2 as a user. First of all, thanks so much for your work! Maybe what I've found can help you devs flush something out? I've been testing mostly in RAW trying to use settings that seem to work for others on the M. The quirks I've noticed that might be meaningful relate to dfort's discovery of the FPS timer setting. I don't know how that was discovered but I've noticed in testing that if I do not configure the FPS timer A to 588 then I get a black band on the right side of video with my RAW settings. The band seems to vary in width depending on the frame rate I use although it is constant during any given recording. Modules loaded: mlv_lite, mlv_play, mlv_snd, sd_uhs, lua. 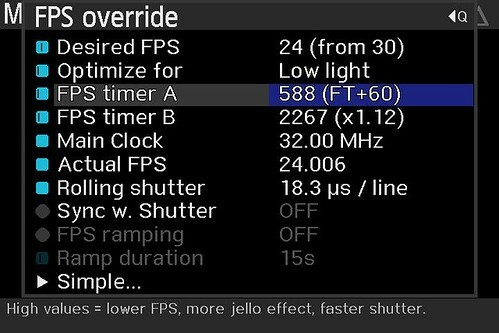 I go back into the Canon LV mode and disable the 5x zoom then go into the FPS override and set the FPS timer A to the 588 mentioned. I have not tried other values to see if bands appear elsewhere if I go higher or lower. 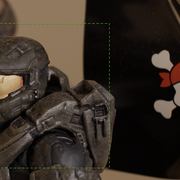 If I go back into the Canon LV and enable 5x zoom then my recordings no longer have the black band on the right. I've tried it with other resolutions and also with 24fps exact and the black band on the right is gone. I did notice that it seems to be precise amount above 588 and not 588 itself since the timer changes depending on frame rate and zoom ratio but stays a constant +64 above. 64 sounds like an address shift of some kind. Another thing I've noticed is that the 5x zoom does not center the image. At least on mine it doesn't. Whatever I see on in LV is of course smaller than what I record but the resulting footage shows that the LV zoom, while centered on the screen (meaning the little positioning square is smack dab in the middle of its container), is off to the left of what it's recording. So much so that it looks like there's nothing recorded to the left of what I shot and double that to the right. Like this [x ] where "x" is what I saw on LV and  represent frame bounds. I would have expected [ x ]. The green dotted line is what I see in LV. Maybe that's no help at all or maybe you've encountered similar or already know this. I'm happy to test anything you'd like but will need guidance if you want log files. Trying to go through the setup on my Mac for dev work but my machine is a Jenga tower of developer tools and something's not playing right and silently failing so I'll have to figure that one out before whatever the next step will be. Funny how the M2 can do close to 4k raw video but can't save a still photo with ML loaded. What I've been doing is to keep merging Danne's EOSM branch into my bleeding edge EOSM2 branch and posting test builds. It has been getting several downloads. Good to finally get some feedback. The black bars and FPS override are settings that can probably be tweaked. Danne knows more about what to adjust than I do -- by the way he also has an M2. As far as the focus pixels, I have added map files for the EOSM2. They are mostly theoretical but since most of the map files are the same between the various cameras I'm pretty sure they should work. You can download them from my ML Focus Pixels repository. Look in the focus_pixel_map_files directory, the M2 files start with 80000355. Put them next to the executable file in either MLVFS or MLV App. Check out the last several posts on the Dealing with Focus Pixels in raw video topic for more information. I have the development environment configured on my machine now, am able to build but it looks like I have several tutorials to run though to get me up to speed with the typical workflow of ML development. Currently my QEMU displays a blank black screen past the date/time screen although I can see the console recording keypresses. Might have to do with my Mac or version conflicts or a myriad of other possible incompatibilities. However, I'm not sure if QEMU is even used at this stage of development. Are you building and testing directly on the M2? Until I'm up to speed I can only report what I'm finding as a user attempting RAW video. I'm able to record 1800x1012 in 3x crop mode in 16:9 and all the way up to the 2.5k in 5x crop mode but the 2.5k has a significant number of purple frames and is unusable. I use a 64GB SanDisk Extreme Pro with the sd hack in both cases. If I lower the resolution to 1920x872 in 5x crop (I believe it's 1:2.35) then I can record continuously. I can do these in 14bit lossless. If I use 12bit lossless then every other frame is frozen (as in either black or a repeat of the very first frame of video). 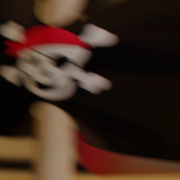 The 1800x1012 in 3x crop mode is very finicky. If I start recording immediately after the sd_uhs script completes its autorun then I have been able to record continuously without issue. However, if I wait to record for some undetermined amount of time live view freezes up. The only way I can unfreeze live view is to toggle through the 4 view modes with the Info button. 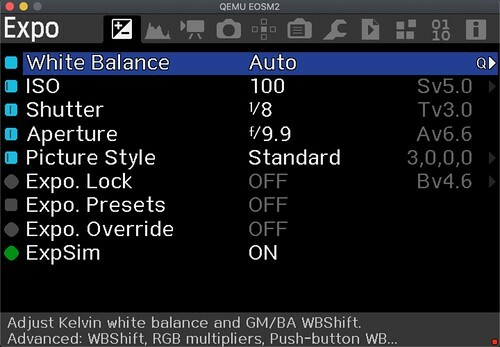 There are 2 Canon GUI modes, the ML GUI then the pure settings GUI mode. I have to cycle through the settings GUI mode back to the first Canon mode and then I'll see an unfrozen live view again. However, if I don't start recording immediately it will freeze again and I have to cycle through the screens to get it back. I can play this game only two times, unfortunately. The third time all of the view modes are a blank black screen. I've tried flipping to camera mode and back to video but once I see a blank black live view mode I have to restart the camera for video work. Fortunately I can play this game all over again after rebooting. If there are particular files with configurations that are tedious to build and test I'm happy to build and grunt test them locally but would need to know the files and rough plan. Otherwise it will be a while before I can contribute to the freezing issue. I know you mentioned M2 development is stalled due to some issues not replicable in QEMU so I'd like to see about getting some grease on my hands. I'm a developer but just a young Padawan in this realm. I've been reading through the developer guides and have tried to repeat the porting process in this tread but…why reinvent the wheel? Plus it's taken nearly two years of your effort to get this far and I'm missing things not found in the thread partly due to my environment being different. For instance, I'm using Ubuntu 16LTS on a VirtualBox machine because my Mac is heavily configured for other development work and I don't want to accidentally break it for my paying work. I did get QEMU up and running on the Mac but got endless logs and a blank gray UI with a red dot in the lower right then it would crash. Actually took my Mac with it which I rarely ever see. I decided on some separation. Following the guide here https://www.magiclantern.fm/forum/index.php?topic=991.0 for installing magiclantern I have a sandboxed environment to play in. Seems to work just fine. However, I see no EOSM2 in the platform directory. So I tried merging in your branch (hg merge crop_rec_4k_mlv_snd_isogain_1x3_presets_EOSM2_dfort) but that fails with an "unknown revision" error. I tried from scratch using your version of the bleeding edge branch (hg clone https://bitbucket.org/daniel_fort/magic-lantern/branch/crop_rec_4k_mlv_snd_isogain_1x3_presets_EOSM2_dfort). Renaming the resulting directory "magic-lantern" lets me complete the qemu setup process. However, if I update QEMU (hg up qemu -C) I again have no EOSM2 directory. If I don't update qemu and instead update the tip (hg update tip) then I get your EOSM2 directory in the platform folder. I then create the gcc-arm path (PATH="$HOME/gcc-arm-none-eabi-5_4-2016q3/bin:$PATH") in .bashrc since it wouldn't work in .profile. After this I'm able to run the install.sh for qemu (the one in your branch) without a problem. I then make magic-lantern in the ml EOSM2 directory (make clean && make install_qemu). 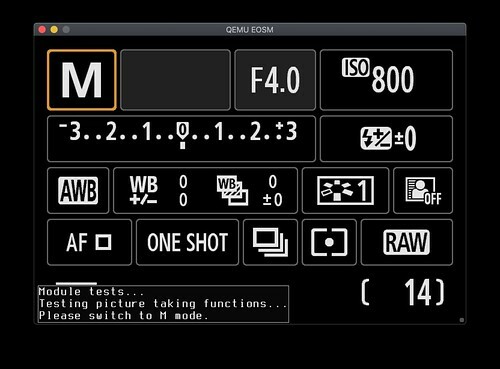 This updates the sd.img in the new qemu-eos directory (same level as magic-lantern directory). Seems like I'm good to go. However, running QEMU with ./run_canon_fw.sh EOSM2 results in errors concerning the format of long unsigned int values. I've tried commenting out the code it references since they're just status updates but the more I comment, the more keep coming and I doubt this is how you're building it. So I start over and build qemu exactly according to the instructions in the link above. Then I clone your branch as before, build the EOSM2 with make clean && make install_qemu and everything seems peachy keen. I copy my ROMs (ROM0, ROM1, SFDATA) into qemu's EOSM2 directory and again try ./run_canon_fw.sh EOSM2 but get the same gray screen I got on my Mac and it kills the virtual machine with the same endless loop of "WARN [I2C] localI2C_Write : 317 (Task : Startup)". It also spits out "[AUDIO] ERROR I2C abort 0(1020000)" repeatedly. If I kill the qemu window quickly enough then I can regain control. I've tried various .run… commands but everything results in an endless loop or runs to a crash or runs to a lockup. I'm unable to get anything in QEMU. Since I only have the EOS M2 I can't test with any other build just to see what I'm doing wrong (no ROM files for anything else). I did order an M for comparison but it's not arrived yet. So, I'd like to get up and running with testing in QEMU but I think I might be acting above my pay grade. I'm happy to take advice. In the meantime I keep testing with your releases. As I understand it they are just updated syncs with the bleeding edge EOS M branch and have nothing to do with getting the M2 past its live view freezing issues. Is that a fair read? @liquidether - Wow, best news for the EOSM2 in a long time. Sorry I missed your March 13 post, got hit with other things to do--like being the President of the HOA, shooting a no-budget feature film, preparing for my tax appointment, making through my wife's honey do list, you get the picture. I'm also the least qualified of the ML users with "Developer" status. When I started porting the M2 I thought it would be a nice little introduction to a fairly easy camera to get ML working. Ha! Back on topic. I'm also having problems getting the M2 working in QEMU. It should work and it used to work in past for me. Note that the current qemu branch is set up to work with the M2, though it is missing from the "platform" directory. I'll PM you with something that you can use to check your QEMU setup. In the meantime I've been doing most of my testing on the camera. If you clone or fork my repository you'll see lots of experimental EOSM2 branches. I've got to update some of these, like the lua_fix branch that is finally working on the EOSM and might help with the M2. It looks like you've got the M2 working about as well as anyone. That "bleeding edge" build I keep posting is just keeping up with Danne's latest EOSM changes. It happens to be the most stable build at this time though I don't quite understand why that's so. As EOSM2 Magic Lantern users (and abusers) know, I've been merging in Danne's EOSM experiments to my almost but not quite yet working EOSM2 bleeding edge branch and posting test builds. Today I merged in the latest lua_fix changes and tried running the Script API Tests. It turned up a problem in the menu test when trying to change the FPS override. Tried changing it manually and there does seem to be something weird going on. I commented out test_menu() and got an error on the test_camera_take_pics(). This was a strange one because it asked to switch to M mode when the camera was already in manual mode. model = "Canon EOS M2"
Focus range: 8 steps forward, 4 steps backward. Motor steps: 10240 forward, 10240 backward, 0 lost. Focus range: 30 steps forward, 22 steps backward. Focus range: 25 steps forward, 21 steps backward. Focus range: 79 steps forward, 70 steps backward. Sometimes I feel like I'm trying to start an old car. Pull battery, pull card, reinsert battery, start camera without card, reinsert card... but hey, this is still a new port even though this topic was started back in September 2015. In any case, these tests should point to areas that still need some more work. Any help would be greatly appreciated. Finally got the EOSM2 working in QEMU. It has been a while and I thought things were broken but they are working. It is hard as ... to get to the ML menus on this camera in QEMU and I wanted to see if I could run the lua tests so I ended up copying over the EOSM settings with the tests on autorun. Looks like it is working. name = "EF-S18-55mm f/3.5-5.6 IS STM"
Now my question is, is this a valid test or am I wasting time? I was planning on going through each test one at a time to see if I can get a log and maybe the QEMU console will show some issues on the tests that are failing. I'm not sure if the tests that are failing can be run in QEMU so I was going to run them on the EOSM to see if that camera can complete the tests in QEMU. It is getting late and this is time consuming so I'm just throwing this out there before getting some shut eye. Planning on giving this a go in the morning. It's working on the Mac VM, too. Some time ago I've reproduced your issue by swapping SFDATA.BIN from another camera (100D). Make sure it's not that; the first word in SFDATA.BIN is the model ID of the camera (0x80000355 for M2, 0x80000346 for 100D). Then, there comes a version number (6.0.3 for M2, 4.2.1 for 100D). If the SFDATA.BIN is the correct one, send me your ROMs (including SFDATA) so I can reproduce it. Now my question is, is this a valid test or am I wasting time? Generally speaking, if the log from emulator matches what you'd get on real hardware, it's probably a valid test. Things like file I/O, DryOS task switches or general-purpose computations are working very well. Once you get into LiveView, or photo capture, or even a plain half-shutter press in some cases, that's where things are starting to break. If the log doesn't match, that usually indicates incorrect emulation (either bug in the emulator, or just not yet implemented). Some tests might be nondeterministic, for example the DryOS context switch order is no longer to match the one from real hardware, as it's not deterministic. You won't get the same order on real hardware either. There may be small differences between the two environments (such as, different card size or free space available), but these are already nitpicks. It's probably commit 085b79c2b (the info/shooting screen is no longer running as GUISTATE_IDLE on the M series, unlike regular DSLRs). 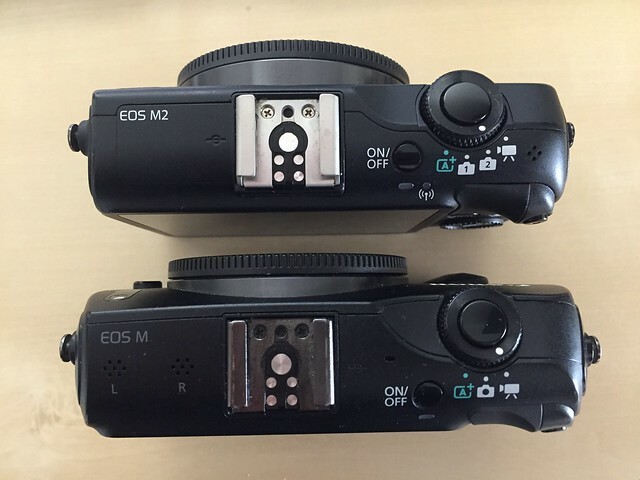 The same issue might be present on all other mirrorless models, so maybe it's time to define CONFIG_MIRRORLESS (assuming M50 and R/RP have the same quirk). Thanks for the tips to track down the last few hiccups on this camera. I have no problems navigating through the Canon menus and the emulation seems pretty good. The frustrating part is getting to the ML menus. Not that it is impossible, just very difficult. At least I haven't found a reliable way to open them in QEMU. No issues on the actual hardware. Maybe I shouldn't assume that the EOSM2 is using the same SetGUIRequestMode codes as the EOSM? This is still a learning processes for me. Back to running the lua tests in QEMU. I keep coming up with a strange issue where the lua test is asking to switch to M mode when the (virtual) camera is already in M mode. The #2 is the one I have set for manual mode and seems to be the one that QEMU displays in the gui but maybe it is actually looking at the #1 settings which are not in M mode? 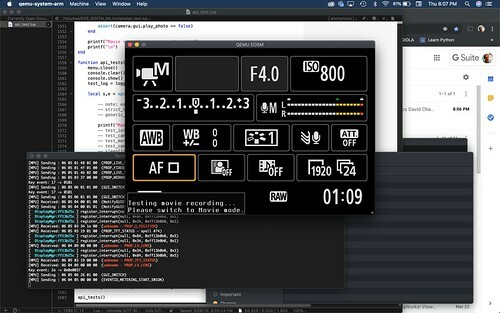 So much for the dual photo mode switch on the M2, the EOSM also has a problem figuring out what mode it is in when running the lua tests in QEMU. It also can't verify whether or not it is in movie mode. So this isn't just an EOSM2 emulation issue. 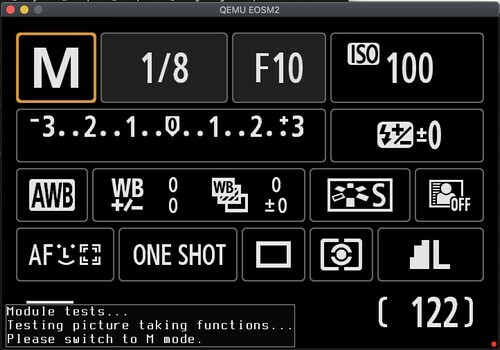 BTW -- On the EOSM2 the still photo mode #1 is "Basic Zone Modes" where Manual mode is not possible and #2 is "Creative Zones Modes" and is where you'll find the Manual mode. Following, I'm a total potato at coding, but ill send positive vibes? I just picked up an M2 for a killer deal and would love to make it my main shooter!